Cold, rainy and windy is what we usually associate with winter weather. What food comes to mind when you think of winter? Possibly something to keep you warm and contented…am I right? 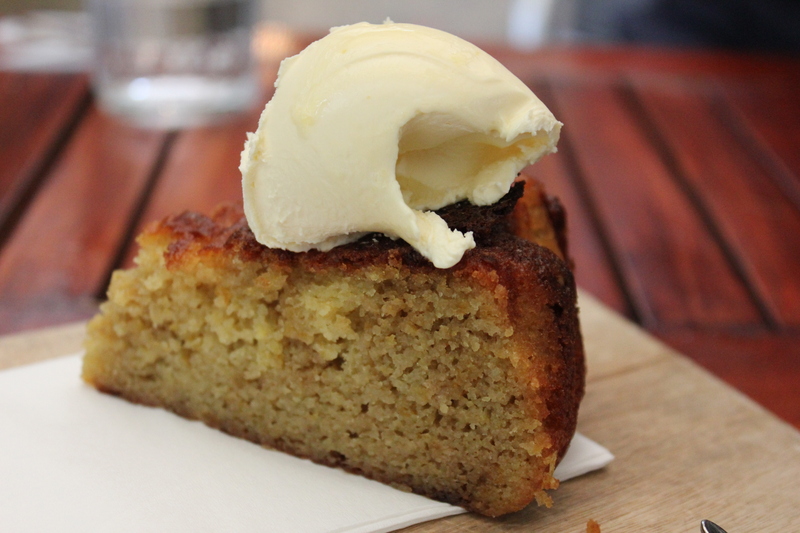 Located in the heart of the Fremantle Arts Centre is Canvas Cafe. Inside Canvas lies a courtyard which looks like a secret garden. There’s also seating inside too. As the seating inside was reserved when we were there, we had to sit alfresco although the weather was rainy and windy! Luckily, there were large umbrellas on top of our heads, which protected us from getting soaked. Canvas serves breakfast until 11.30 am and after 11.30 am you have to order from the lunch Menu. We arrived just in time for lunch and had missed out on breakfast but that’s alright, the lunch menu looks as good as the breakfast menu. 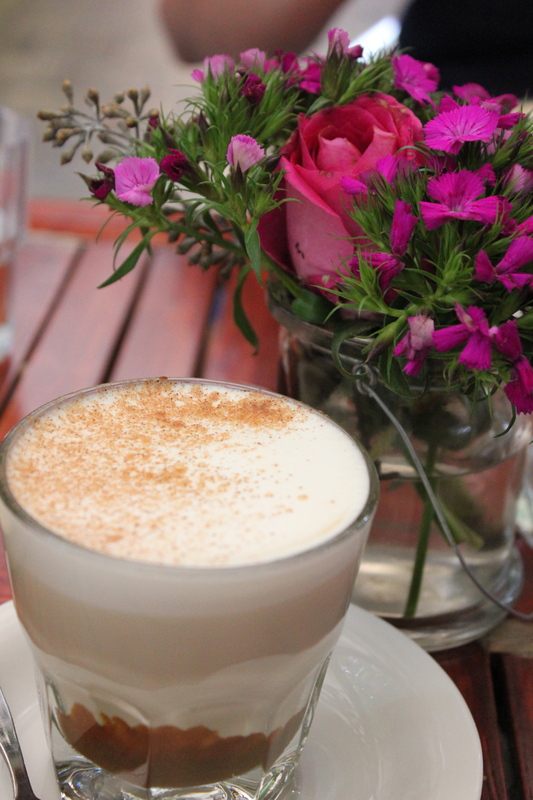 Is it me or is Shaksouka currently trending in cafes and brunch spots? One of Canvas’s signature dishes is the Shaksouka. Dad had the Red Shaksouka ($18). 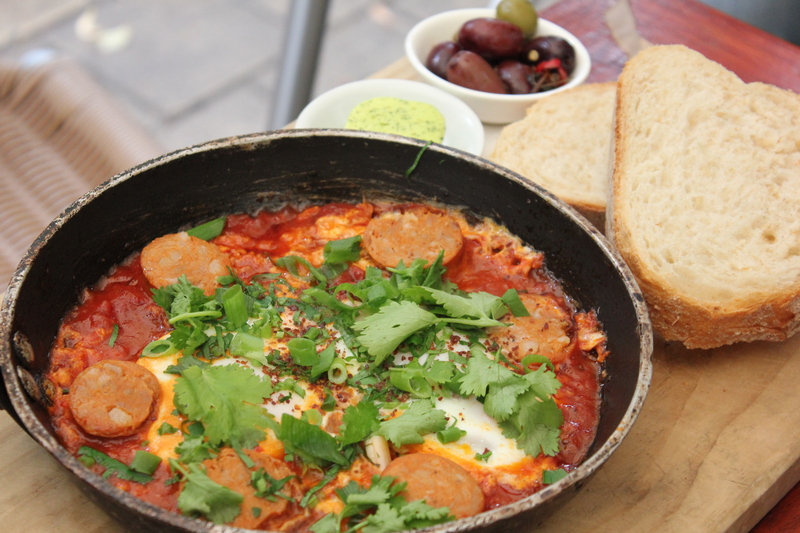 The Red Shaksouka consists of two eggs poached in an eight-hour tomato sauce, bread, marinated olives and garlic butter. Dad also requested for additional chorizo, only for $4. I had a taste test of the Shaksouka and it was hearty and full of flavour. The Shaksouka is a dish that will keep you warm and contented this winter! Mum and I ordered our dishes from the specials of the day at Canvas. I had the Bouillabaisse ($22) with South Australia mussels, barramundi, fennel and sourdough. 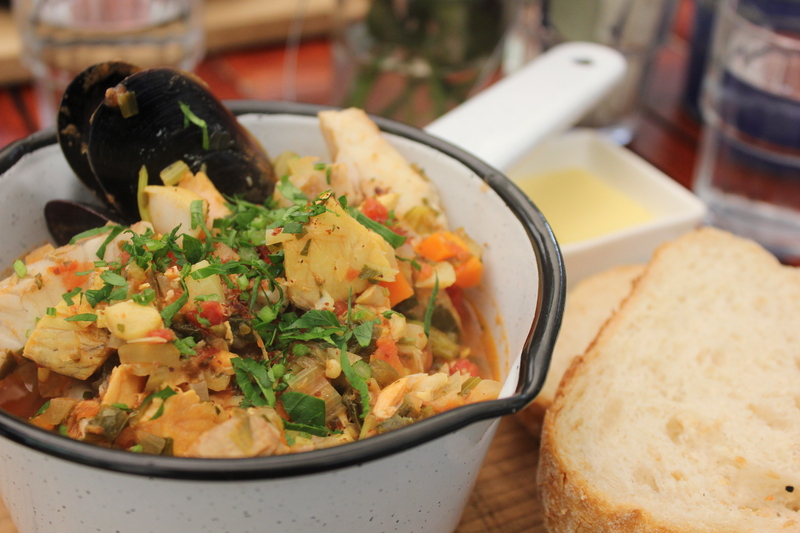 A Bouillabaisse is actually a traditional Provencal fish stew originating from the port city of Marseille, France. I enjoyed my Bouillabaisse a lot. The mussels and barramundi were very fresh and the broth was delicious and punchy in flavour. Perhaps I was feeling cold and hungry from the rain but yes, I finished the whole stew to myself. It was that good. Mum had the Cassoulet ($19) with white bean, pancetta and merguez sausage. Cassoulet is a rich, slow cooked casserole which originated from the south of France. I tried Mum’s Cassoulet and I liked it too. 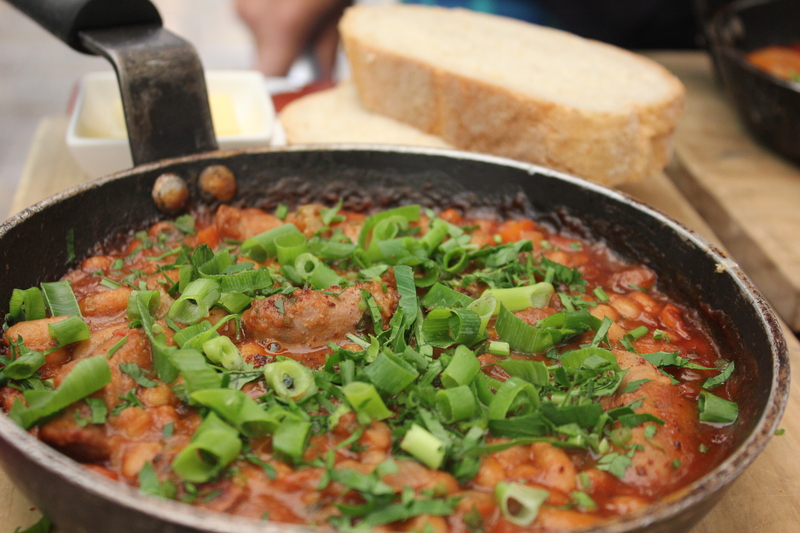 It was very rich in flavours from the white bean, pancetta and merguez sausage. Hearty, tasty and satisfying – the Cassoulet is indeed the perfect winter dish. You must be thinking, aren’t you guys full from your dishes? Yes we are but there’s always room for at least cake and coffee after! I had the Chai Latte ($4) and it was spot on. The cinnamon flavour was not too overpowering. It was just right. To complement our coffee, we ordered a slice of Orange and Almond cake ($6). The cake was lovely – it was moist, soft and not overly sweet. Despite the terrible wintry weather, the food at Canvas is actually really good and I think it lives up to standards in Perth and Fremantle. The service was friendly and efficient. Once you are done with your meal at Canvas, feel free to explore the Fremantle Arts Centre and its surrounds, which is free to public. Canvas Cafe is a hidden gem and I can’t wait to be back to give their breakfast menu a try! Oh and check out the 2014/2015 Perth Entertainment book for the Canvas Cafe voucher where you can buy one main and get one main free.